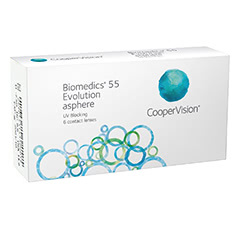 Experience the high performance and exceptional comfort of Cooper Vision’s Biomedics contact lenses. 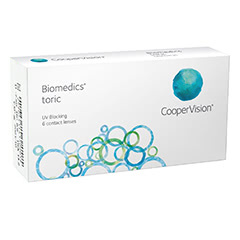 This premium brand has a wide range of lenses, suited to a variety of eye conditions and needs. 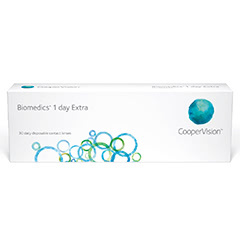 For example, Biomedics 55 are monthly lenses available in a toric version, while Biomedics 1 Day are ideal for those who want a fresh pair of lenses every day. 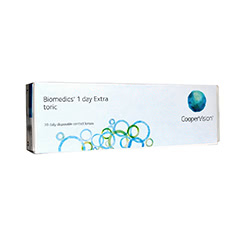 Choose Lenstore.co.uk as your supplier of Biomedics lenses, and you'll benefit from our fast delivery service and exclusive offers. We ethically source all of our products directly from the manufacturer, so you’re guaranteed a quality product. 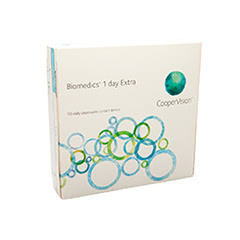 We ship over 90% orders on the same day, with next day delivery options available for UK addresses. As one of our valued contact lens customers, you’ll also be eligible for free eye tests at your local Vision Express store.